Nature and Culture International is joining nature lovers around the world to celebrate the Year of the Bird. 2018 marks the 100th anniversary of the signing of the Migratory Bird Treaty Act (MBTA), one of the earliest environmental laws enacted anywhere in the world, and a pivotal bird-protection law. However, birds are facing new and serious threats. Now, over 1,300 species of birds are threatened, and almost 200 are critically endangered. 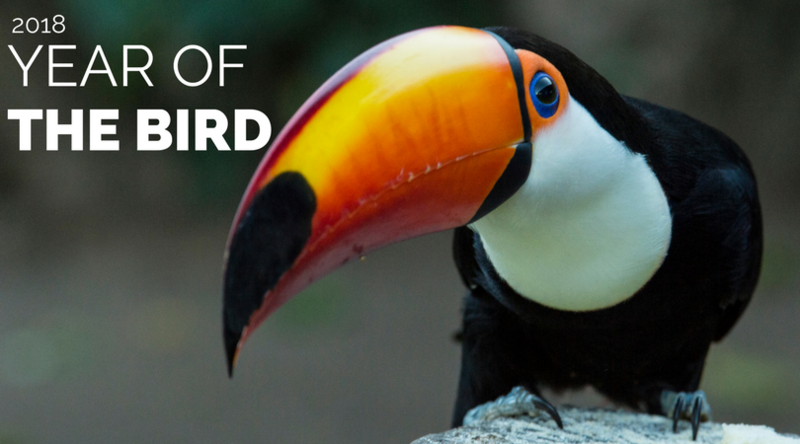 To commemorate the wonder and beauty of these winged creatures, and raise awareness about the crucial role birds play in caring for our shared planet, we are joining forces with organizations and millions of people around the world to declare 2018 as Year of the Bird. Throughout the year, we will highlight uniquely significant birds found in our project areas. Today, we celebrate the largest flying bird in South America – the magnificent Andean condor. In the highest peaks of the majestic Andes, a massive creature hovers high in the sky seeking out its next meal – a carcass or weak animal. The creature is the Andean condor, an iconic species in Ecuador, and the largest raptor in the world with a wingspan of over 10 feet. That is a wingspan almost twice the size of an average human’s arm span! Andean condors prefer windy, open areas where they can glide on air currents with little effort. Tending to avoid human disturbance, they are sensitive to habitat loss. They also suffer from human persecution; in January 2018, a group of 34 condor carcasses were found in Argentina, presumably poisoned. These impressive birds play a key role in a healthy, well-balanced environment because of their important role as nature’s recyclers. Consuming wild animal carcasses helps reduce the spread of diseases. Yet Andean condors are threatened over most of their range. According to the last national census, fewer than 100 individuals remain in Ecuador. 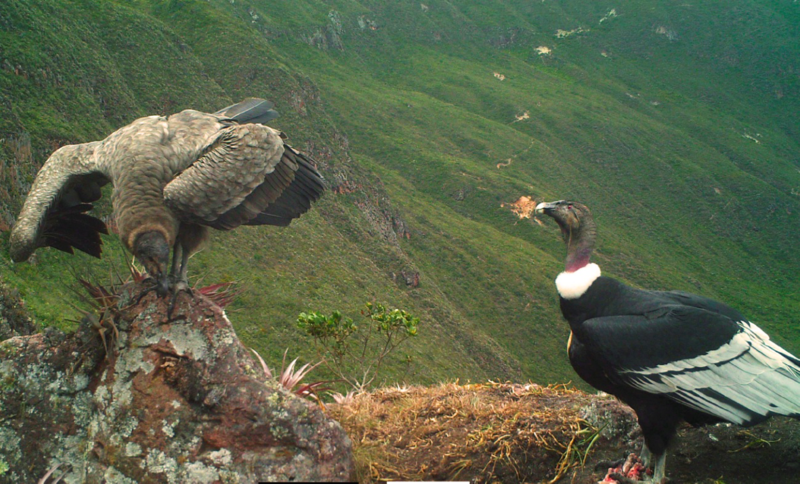 In 2016, recognizing our experience in creating protected areas, NCI Ecuador was invited to join the Andean Condor Working Group, a national consortium of NGOs, local governments, universities, and zoos, led by Ecuador´s Ministry of Environment. In response, we catalyzed the declaration of a new 85,832-acre reserve in Río León in the southwestern part of the highly biodiverse Sangay – Podocarpus Corridor. Río León, a sparsely-populated, arid ecosystem, hosts a stronghold population of nine Andean condors. It is close to the highland páramos where condors scavenge and its cliffs are appropriate for roosting and nesting. Three condor pairs have been seen mating in this area recently, suggesting possible nests. The new Cóndor – Río León Reserve comprises four adjoining municipal reserves – Saraguro, Oña, Santa Isabel and Nabón – which have been declared by Municipal Ordinance. To strengthen the conservation status of this area further, NCI will support these four municipalities in proposing the inclusion of the Cóndor – Río León Municipal Reserve within the National System of Protected Areas. 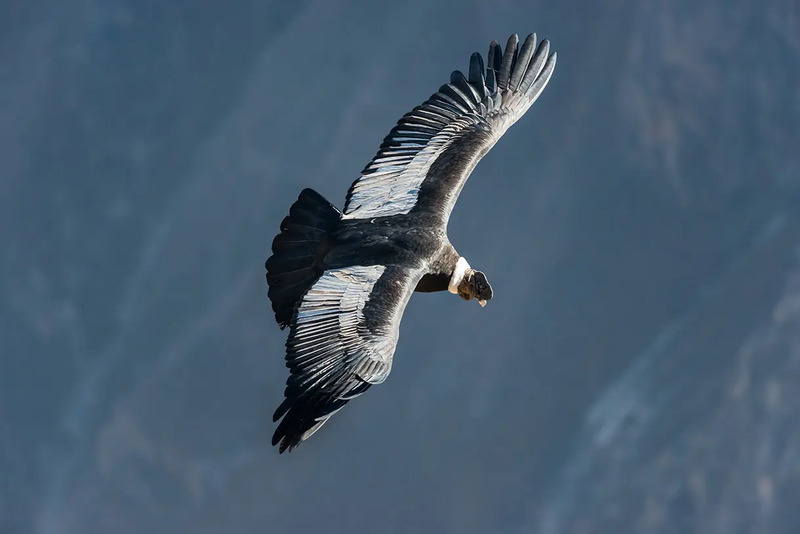 This would provide additional protections against habitat loss and damaging activities like mining that could jeopardize the condor´s future in this windswept reserve. Help build a better world for the Andean condor and all birds by supporting NCI.